One of the enduring mysteries of the Christian faith surrounds the nature and rational behind God’s revelation of Himself to His Creation. “The heavens declare the glory of God, and the sky above proclaims His handiwork,” (Ps. 19:1) and yet God’s action of revelation did not cease with the heavens and the earth. Nor did God rest solely on the bearers of His image in creation. God spoke this creation into existence by His Word. He spoke to Adam and Eve in the Garden, issuing commandments from day one, precepts to secure the prosperity of His creatures within His creation to and for His Glory. When that creation fell, God spoke the words of both judgment and promise. Pain would come and toil would increase with enmity toward the speaking serpent, but salvation also was declared from the inception of sin. God continued to speak directly to His creation, revealing callings, covenants, and commandments for His people with an eye toward their salvation and end toward His Glory. That we know any of these facts in detail is due to their record written in the Word of Holy Scripture. The testimony is clear that these things were written so that “we may know that we have eternal life.” (I John 5:13) God chose the Word displayed, spoken, and written as the means of revelation of purpose and glory to those who bear his image. God sent His son so that those who believe in Him should not perish but should have eternal life. (John 3:16) The gift of His son came as a result of His love for the entire world. Would God love the world, send His son for that world, provide salvation for those who believe and not give that same world, in its entirety, the opportunity to believe? This question frames the problem Inclusivism attempt to address. That God has prescribed a method for salvation is not up for debate among ‘inclusivists.’ The question, rather, is absent access to that method, can salvation occur? Inclusivism is an attempt to address the issue of the un-evangelized, those who will never hear. When one considers further the nature of salvation one is instinctively drawn to the apparent hurdles that exist in its path. There is the immeasurable gulf of sin that has separated man from God since the fall; and the effect of that sin on the human mind, both in terms of comprehension and the will to listen. There is the issue of access to the message by which one is saved. If it is God’s desire that all be saved, has he not provided the means for salvation to all, regardless of location or access to the gospel? Not surprisingly, believers and non-believers approach these questions differently, and reach diverse conclusions often from the same texts. Even within the Christian community opinions as to these questions differ. Inclusivism agrees that “Jesus is the only way to salvation,” only “one does not have to believe the Gospel to be saved.” They simultaneously affirm Jesus’ claim to exclusive access to the Father, but solve the dilemma eluded to above by allowing multiple and even “extra-biblical” routes to Jesus. On the conservative side of this spectrum there are inclusivists who claim general revelation in addition to special is salvific. Broader definitions of salvific intent can be found on the liberal side, which can and has affirmed, in addition to general and special revelation, the ability of other religions to lead to the one God able to save. Scripturally Inclusivists point to certain key texts to bolster their case for broad salvation. First and foremost are God’s declarations of “universal love” for the world. John 3:16-17 provide a fitting example of God’s intent; God loved the world, he gave his son that those who believe in Him shall not perish. According to verse 17, God did not send the revelation of his son to Judge the world, but that the world would be saved through Him. Any attempt to limit general revelation to merely a means of rudimentary knowledge or a testimony to render one without excuse and thereby eliminate the defense of ignorance, is flatly rejected by inclusivism. General revelation is on par with scripture in its ability to provide saving knowledge and both testify of the saving love of one God. “saying that the God known through creation condemns while the God known through the Bible saves, sounds as though there are two Gods– one damning, one saving. There is one God [however] whose Holy Spirit is actively seeking the lost wherever they may be.” Greater than the apparent proclamations of the Gospel’s necessity to save, God’s love seeks to save those who are lost regardless of their access. In contrast to inclusivism, those who subscribe to a belief in the exclusivity of the Gospel and salvation see the questions surrounding these topics as present but not particularly troublesome in light of scripture. God’s method of salvation is exclusive in terms of means as well as in terms of scope. 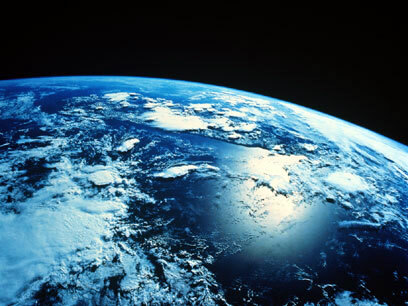 Exclusivists claim that God created the world and is displayed throughout that creation. That He loved the world, and sacrificed His Son for the world. They differ however in the method and means by which one obtains salvation. They would agree that, “scripture nowhere indicates that people can know the gospel, or know the way of salvation, through such general revelation.” Jesus alone is the way to the Father, unto salvation. Therefore knowledge of Jesus, and belief in Him, even confession of Him as Lord is essential for Salvation. God’s salvation is not only exclusive in terms of means, but also in scope. God, through special revelation, by his eternal will, has revealed himself to a select group alone. That this is the case is not troublesome for those who subscribe to an exclusivist position. Rather God’s special revelation to some and not all is demonstrated and defended throughout the entirety of scripture. God chose one man to form a nation, one people out of many. They were to worship one God, and by Him be saved. God sent one son, a shepherd to a particular ‘special’ flock. God said of Israel, “you are my sheep, human sheep of my pasture, and I am your God.” (Ezekiel 34:31) Jesus proclaimed that “My sheep hear my voice, and I know them, and they follow me.” (John 10:27) These passages stand in start contrast to the idea of universal access to Christ apart from His revealed ordained will in His Word. Further proof of the differentiation between those who simply know of Him and those who have received revealed knowledge of Him unto salvation, is found in Matthew 7. This text attests that mere knowledge of God from whatever the source is not adequate for salvation. There will be those who will come to Christ on the last day and claim to have known Him and acted in His name; but it will be made clear that while they had a ‘general knowledge’ of God and even Christ, Jesus will be right in saying depart from me for I never knew you. (Matthew 7:23) We maintain that while general revelation and special revelation work in concert to proclaim God’s glory and testify to His existence; the special revelation of the Gospel of Jesus Christ through the Holy Scriptures and the preaching of the same, is the divinely chosen exclusive method that God has ordained to effect salvation among the lost. In the next post we shall focus on the scriptural support for this position. Peterson, Robert A. and Christopher Morgan ed. Faith Comes by Hearing. (Downers Grove: InterVaristy Press. 2008.) 12. Sanders, John cited in Faith Comes by Hearing.46. Grudem, Wayne. Systematic Theology: an Introduction to Biblical Doctrine. (Grand Rapids: Zondervan Pub. 1994) 123. Strange, Daniel. “General Revelation Sufficient or insufficient.” In Faith Comes by Hearing. 54. The Exclusivity of the Gospel of Christ.